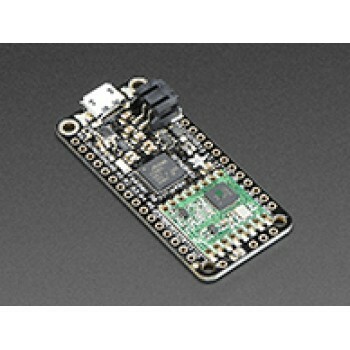 This is the Adafruit Feather M0 RFM69 Packet Radio (868 or 915 MHz) - our take on an microcontroller with a RFM69HCW packet radio transceiver plus built in USB and battery charging. 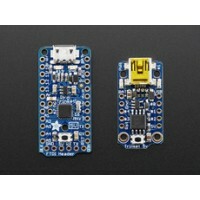 Its an Adafruit Feather M0 with a 900MHz radio module cooked in! Comes fully assembled and tested, with a USB bootloader that lets you quickly use it with the Arduino IDE. We also toss in some headers so you can solder it in and plug into a solderless breadboard. You will need to cut and solder on a small piece of wire (any solid or stranded core is fine) in order to create your antenna.